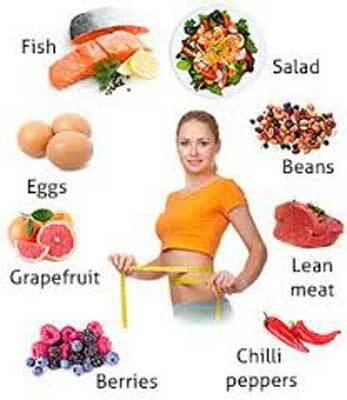 If you need to reduce some weight as well as get rid of belly fat read this article on ‘GM diet’. 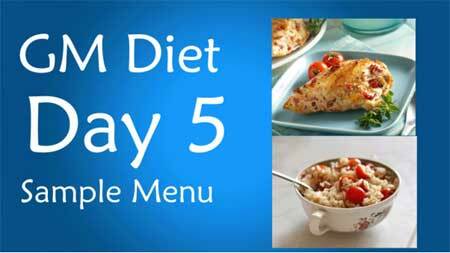 General Motors Diet or GM diet is a week plan that helps to reduce weight along with cutting the abdominal fats. BY this method you will easily lose upto17 pounds a week. The principle behind Gm diet plan is to eat foods that promotes calorie burn in amount more than they provide to promote weight loss. This diet plan burns extra pounds along with rendering you an organic and healthy lifestyle. The main focus here is on fruits and vegetables. Also lots of water is advised. This diet is full of essential minerals, fibres and vitamins and it detoxifies the body along with enhancing body’s immune system and promoting digestion. 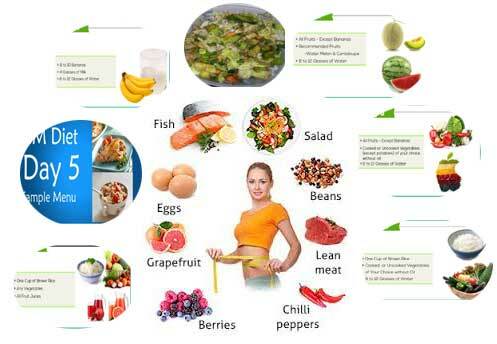 In GM diet we consume vegetables, fruits and complex carbohydrates, fruits. Unhealthy proteins, refined carbohydrates and unhealthy fats are restricted. It is recommended to drink lots of water. 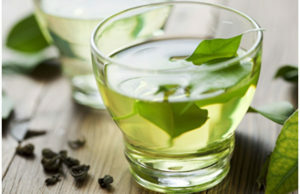 This purifies the body and eliminate the toxins that stresses the body. Once harmful toxins are removed from the body digestion is enhanced. High fibre diet is absorbed by our body. And increased amount of water promotes the absorption of essential minerals. In GM diet there is no restriction on the quantity of food. The food is rich in fibre and thus your stomach feels full and you are refrained from eating much. 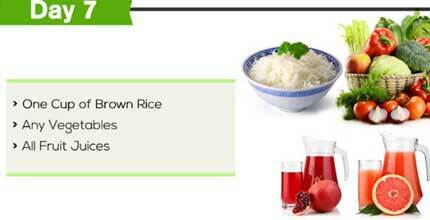 High protein diet promotes metabolic rate and speed up the fat burning. Finally the system is cleaned and you lose weight. Vegies and fruits are rich in essential minerals and vitamins. They build body’s immunity and fights infection. The phytochemicals as well as antioxidants that in fruits and vegies fights free radicals and prevents oxidative damage. This minimizes fine lines, wrinkles and pigmentation. Consume lots of water. This will flush out body impurities and your skin will naturally glow. As the body toxins are eliminated it feels light and renders you a feeling of well-being. 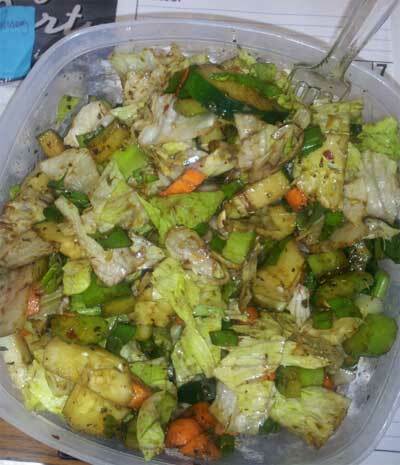 Folate, vitamin B and minerals present in green leafy vegetable stimulates dopamine production and wards off stress. Cleaning of heavy metals and body wastes boosts metabolism, allow absorption of food nutrients, hydrates your body and boots energy level. High fibre diet and water remove waste and undigested food through defecation and you get rid of all problems related to bowel. 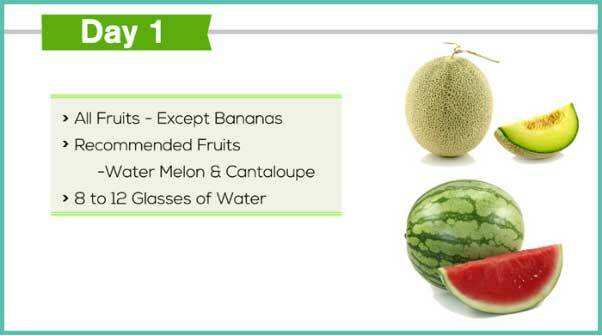 Eat of fruits like apple, watermelon, orange, kiwi and other varieties except banana except for banana. 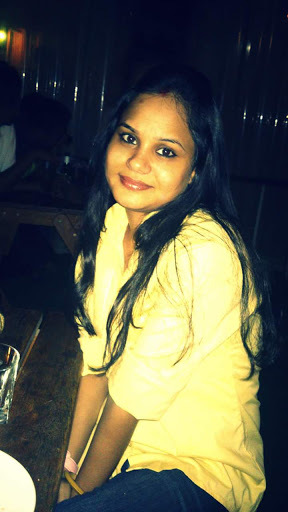 Avoid grapes, mangoes and lichi. Water melon is most preferred as they are high in water and fibre. They are rich in vitamins and gives a feeling of fullness. There is no fixed quantity of fruits and you can eat as much you want to. Drink lots of water and avoid adding refined sugar to food. Eat vegetables either cooking or steamed or raw. Some options are tomato, cucumber, broccoli, beans, carrots, lettuce, cabbage and peas. 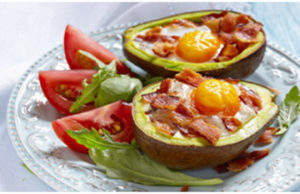 Even you can take baked potato with skin. Add flavour by adding natural herbs or apple cider vinegar. Do not deep fry the vegetables. There is no restriction on the amount. Again drink lots of water every day. 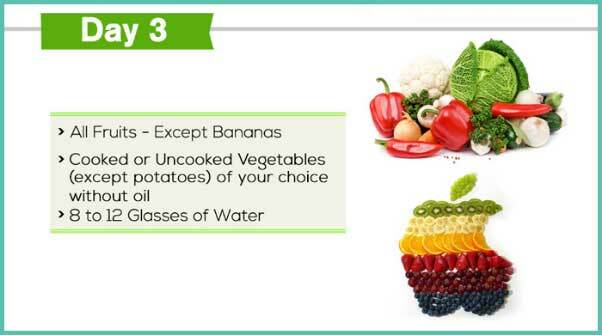 Eat both fruits and vegies but avoid banana and potato. Drink lots of water about 8 to 10 glasses every day. 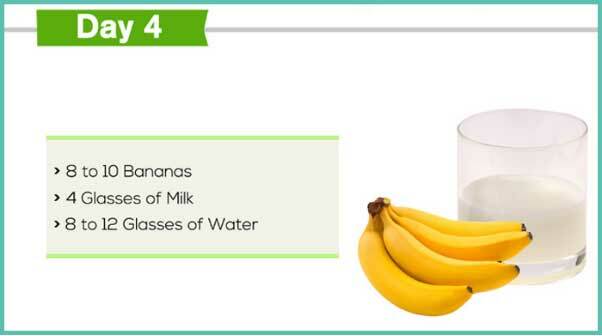 Day 4 is about eating banana and milk. You can make a milk shake without refined sugars. Do not exceed more than 8 banana and 3 litres of milk per day. Eat 6 tomatoes along with 10 oZ beef or 500 grams of fish or chicken. Vegetarians can eat 6 tomatoes along with half quantity of sprouts or cottage cheese. Increase your water intake to 15 glasses. Enjoy lean meat with vegetables but exclude tomatoes. 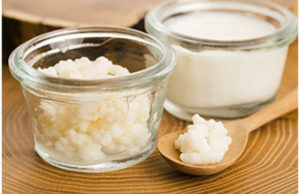 Vegetarian may eat cottage cheese or sprouts. Drink about 15 glasses of water. Start your day with juices but avoid sugar. 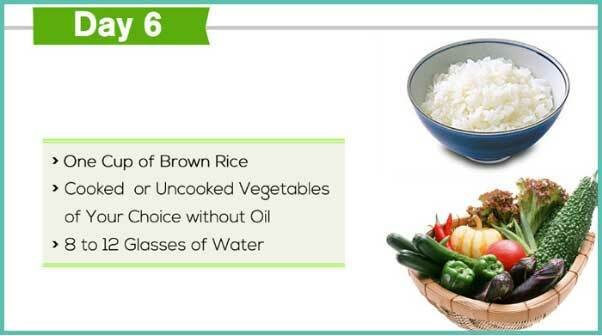 Eat brown rice, vegetables, chappatis whole day. Besides following the 7 week diet you need to avoid processed food, alcohol, tea and coffee. And yes to maintain this weight loss maintain a healthy lifestyle afterwards or you will again gain weight.